Product code: ES1057 Categories: Sold Items, Sold Jewellery. Jewellers from the Art Deco period created some terrific designed jewellery, and this Art Deco pendant is so typical of this era. 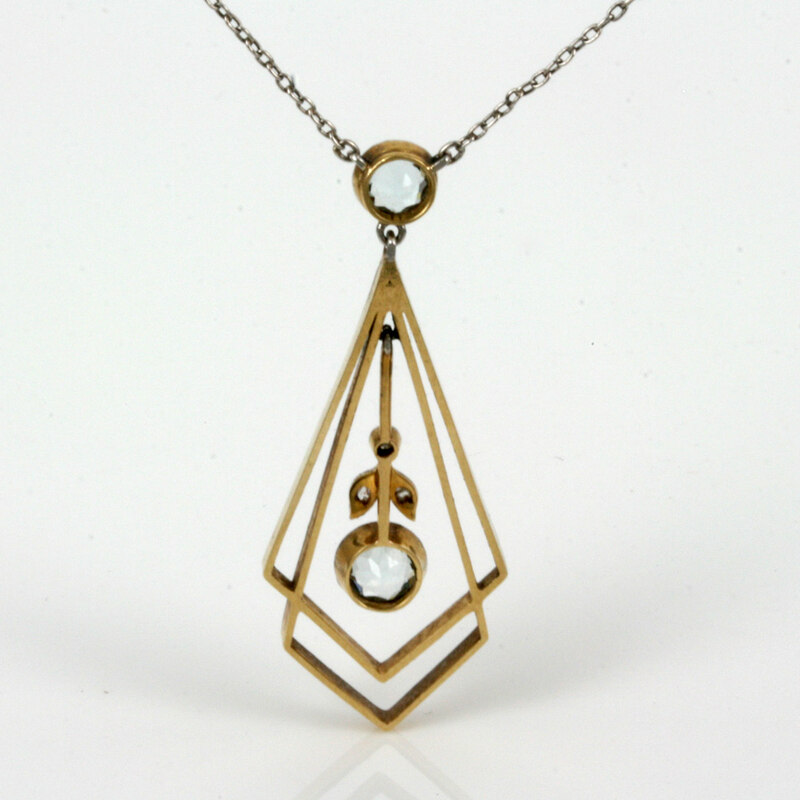 Hand made in 18ct yellow gold and platinum, this pendant is set with 2 aquamarines and 3 rose cut diamonds in a wonderful geometric design typical of the 1920’s. From the very top to the bottom, the pendant measures 4.2cm in length and is fitted on a 42cm chain. 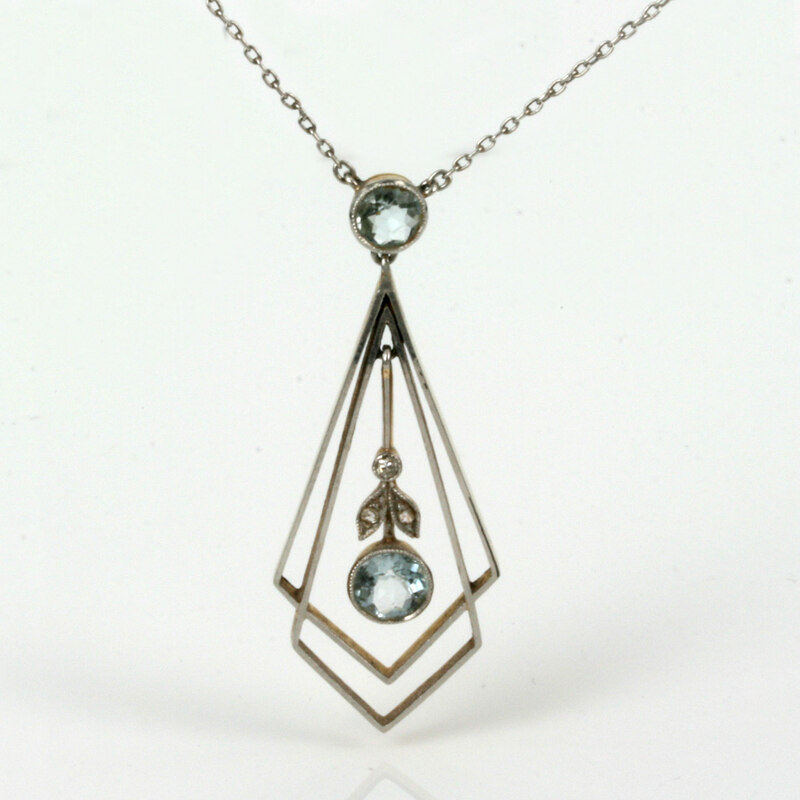 This Art Deco pendant is so beautiful when it is sitting on the neckline and will always be admired.